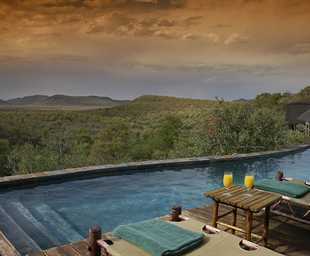 The Madikwe Game Reserve is the newest of South Africa's prime safari destinations. A public-private partnership resulted in the creation of this Big Five game reserve on almost worthless cattle farms and today it is home to 66 mammal species. 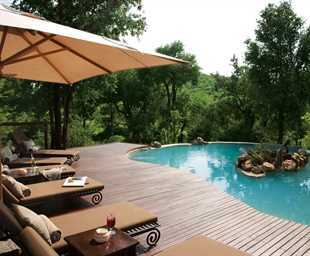 Madikwe is a haven of amazing diversities. 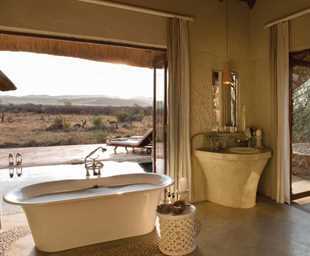 The landscape has mountainous areas, plateaux, rocky hills, a perennial river, seasonal wetlands, a variety of sandy and clay areas, bushveld, Kalahari veld and savanna areas. The rich diversity of vegetation ensures a wide range of game and the topography offers ideal game viewing opportunities in a malaria-free environment. 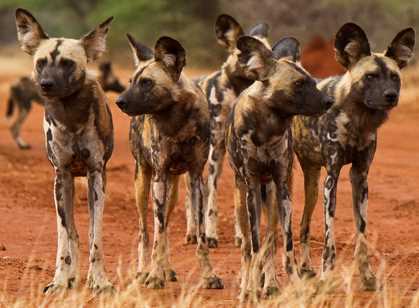 There is a good chance of seeing the Magnificent Seven which comprises the Big Five as well as the rare and endangered wild dog and cheetah. 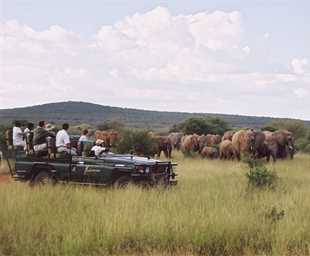 The reserve is home to the largest elephant population outside the Kruger National Park, black and white rhino, and the biggest disease free herd of buffalo in the country. 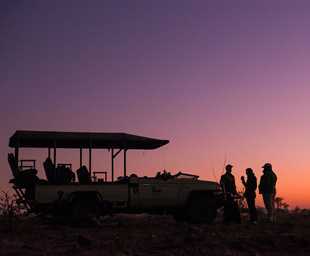 In addition to these, one may see brown and spotted hyena and all other South African predators. 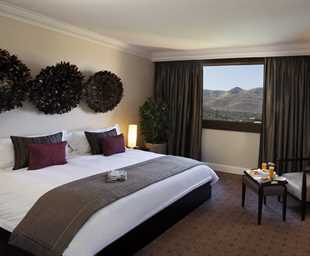 A multitude of plains game includes giraffe, zebra, springbok and sable. 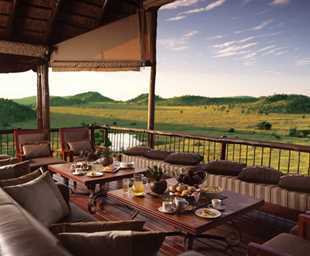 There are also large populations of wildebeest, impala and warthogs. For bird watchers Madikwe is an unmissable destination with the latest official bird list boasting an incredible 340 species. 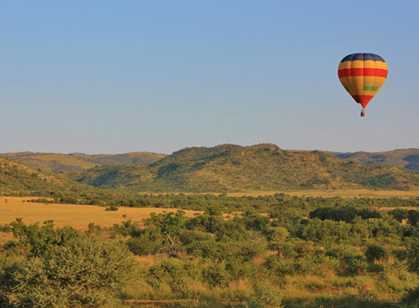 The wondrously scenic North West Province of South Africa is bordered on the north by Botswana, on the south by the provinces of Free State and the Northern Cape, and on the northeast and east by the Limpopo Province and Gauteng. Much of the province consists of flat areas of scattered trees and grassland. 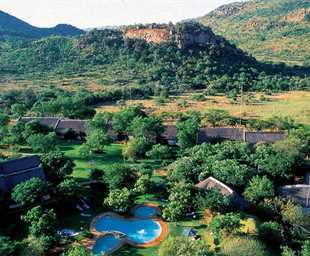 The Magaliesberg mountain range in the northeast extends about 80 miles from Pretoria to Rustenburg and the Vaal River flows along the southern border of the province. 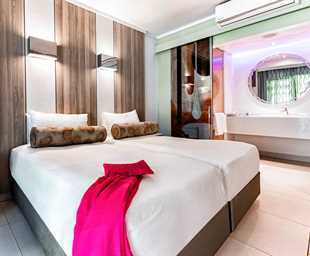 Important historical sites in the province include Mafikeng, the traditional capital of the Barolong people, where a British garrison was placed under siege by Afrikaners during the Boer War (1899-1902). 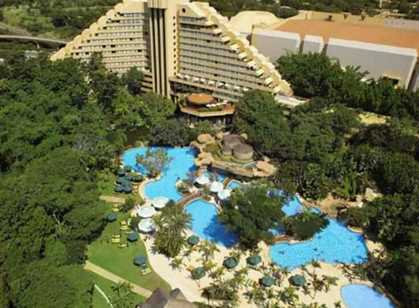 There are also several national parks, including the Madikwe Game Reserve and the Pilanesberg Game Reserve, which is located in the crater of an extinct volcano, both home to the Big Five.